Fluent with all formats. Convert your media files to any format you need: MP4, MOV, AVI, etc. "Movavi Video Converter is an impressive video converter application. It has wide file format compatibility, quick conversion speeds, audio extraction and some basic editing features." Video MP4, Apple Videos (MOV, M4V, QT), Windows Media Video (WMV, AVI, ASF), HD Video (1080p, AVCHD, MTS, M2TS, TS, M2T), 3GP, 3G2, FLV, MKV, MPG, MPEG-1, 2, 4, H.263, H.264, H.265, AMV, DV, DAT, DivX, SVCD, TS, MTS, M2TS, VCD, TP, TRP, TOD, MOD, MXF, Xvid, Real Video (RM, RMVB), OGV, WebM, etc. Audio MP3, FLAC, OGG, AC3, WAV, WMA, AAC, AIFF, APE, AU, Audio for Apple (M4A, M4B, M4R), MKA, etc. Images JPG, PNG, BMP, GIF, TIFF, RAW formats (CR2, NEF, RW2, and many others), etc. Video MP4, Apple Videos (MOV, M4V), Windows Media Video (WMV, AVI, ASF), HD Video (4K, 1080p, H.264), 3GP, 3G2, FLV, MKV, MPG, MPEG-1, 2, 4, H.263, H.264, H.265, AMV, DV, DAT, DivX, SVCD, TS, MTS, M2TS, VCD, TP, TRP, TOD, MOD, MXF, Xvid, Real Video (RM, RMVB), OGV, WebM, etc. Apple iPhone (1–3GS, 4–4s, 5, 5s, 5c, 6, 6 Plus, 6s, 6s Plus, SE, 7, 7 Plus), iPad (1–4), iPad Air, iPad Air 2, iPad mini, Apple TV, iPod Touch (1–3G, 4G, 5G), etc. Samsung Galaxy (S8, S8+, S7, S6, S5, S4, S3, S2, S1), Galaxy Tab, Galaxy Note (1–5), etc. Android Google Nexus (4, 5, 6, 7, 10) and most devices from other major companies, including Sony, LG, HTC, Xiaomi, etc. 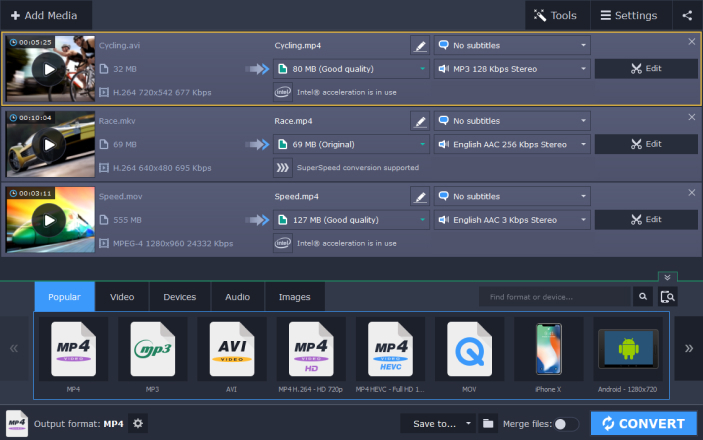 Quickly convert, transcode, or compress your video, audio, and even image files to any popular format for playback, viewing, or further editing. 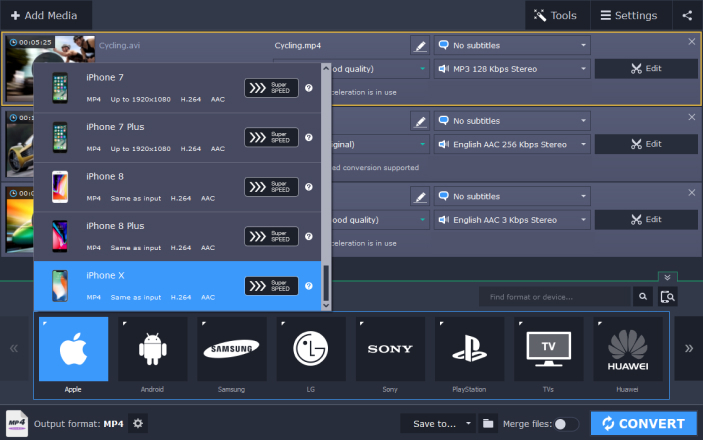 If you like watching films on a big screen, just save your video as a DVD-compatible file with the help of special presets. 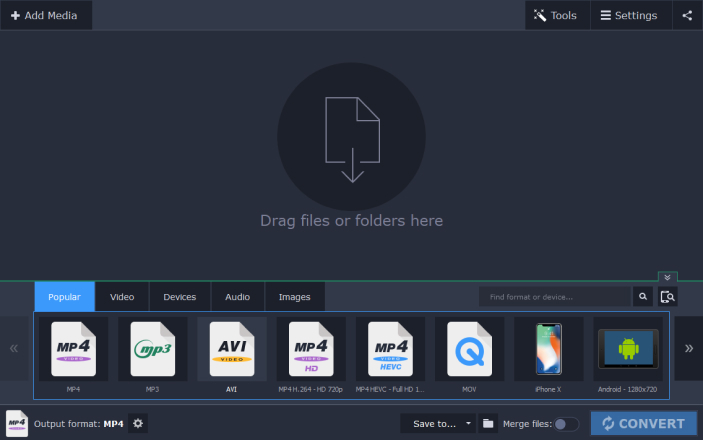 Movavi Video Converter supports all popular codecs, ensuring the best editing quality and efficiency when working with iMovie, Final Cut Pro, Adobe Premiere, etc. 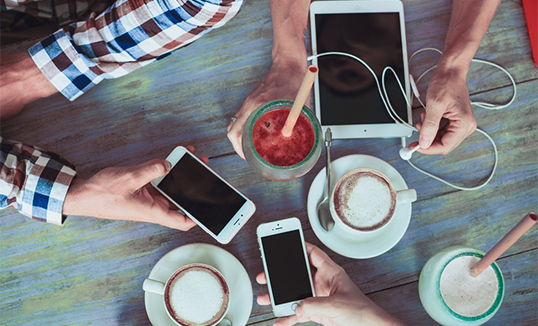 Our software has ready-made presets for all popular mobile devices: Apple iPad (including iPad mini), iPhone, Android, Samsung Galaxy, Google Nexus and many more. 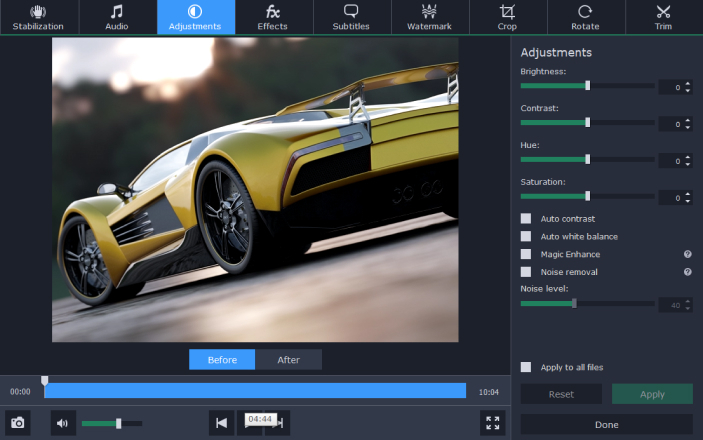 Tired of waiting for your converter to finish processing videos? 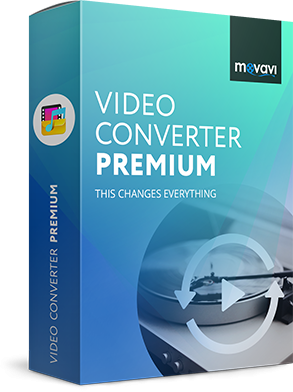 You need to try Movavi Video Converter. SuperSpeed mode will convert your media files in the blink of an eye! 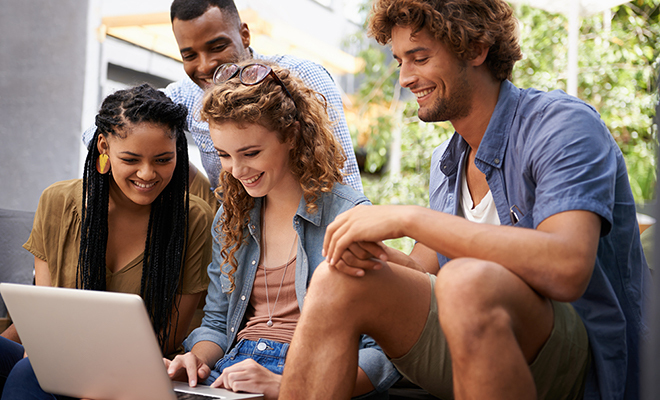 "I am glad I made the investment and encourage any who need to quickly convert video and audio files to consider this program"
"Better than most other conversion software available"
* Tests carried out by Movavi. 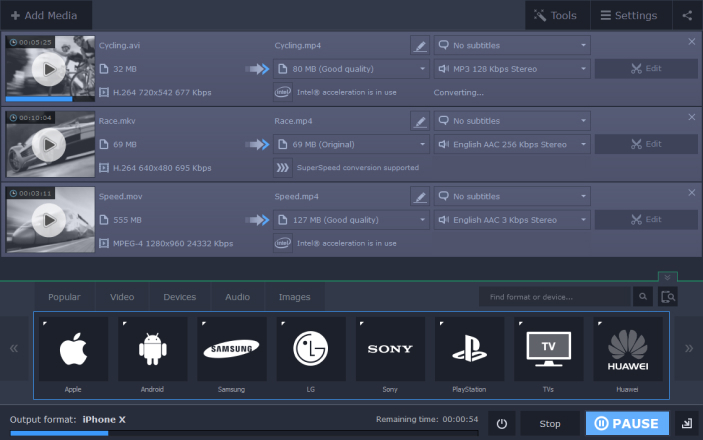 Conversion with Movavi Video Converter performed using SuperSpeed mode. Computer specifications: OS Windows 7 Professional 64-bit, Service Pack 1; Intel® Core™ i5-3550 3.30 GHz processor, 4 GB RAM – DDR3, 1333 MHz; Intel® HD Graphics 2500 video adapter; INTEL SSDSC2MH250A2 250 GB solid-state drive.